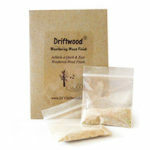 Bundle consists of 1 Pint Driftwood Final Finish Liquid and the Driftwood Weathering Wood Finish 2-Pak. 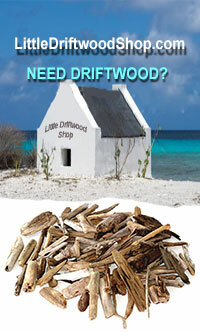 Easily create your own driftwood look. 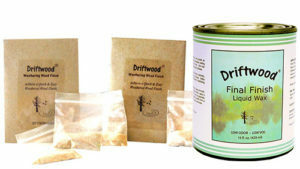 This Bundle consists of 1 Pint Driftwood Final Finish Liquid and the Driftwood Weathering Wood Finish 2-Pak. 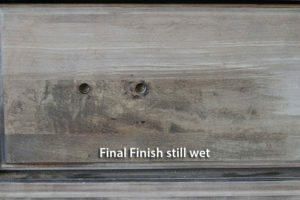 Create a Quick Easy and Beautiful Driftwood Weathered Wood Finish in Minutes. You’ve seen the Driftwood Weathered Wood look in high end stores like Restoration Hardware for a lot of money and now you can do it yourself for a lot less. 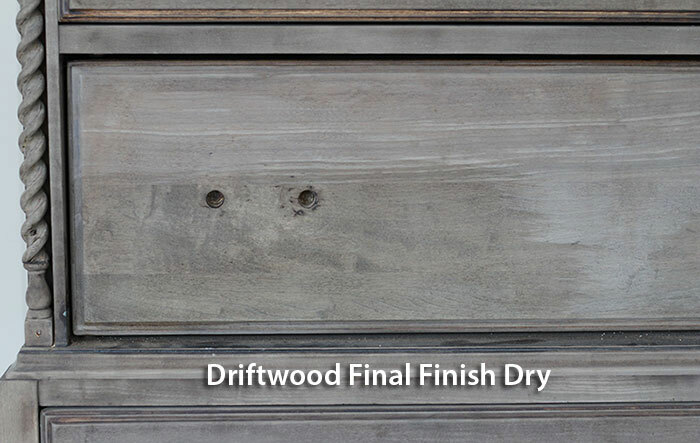 Driftwood Weathering Wood Finish is a simple powder mixture which, when added to water and applied to unfinished and untreated wood or wood furniture, will provide a gorgeous, beautiful and long lasting weathered gray driftwood finish. Hard woods such as oak and mahogany will develop a darker bluish-gray color while softer woods such as pine, poplar and birch develop a lighter weathered gray color. 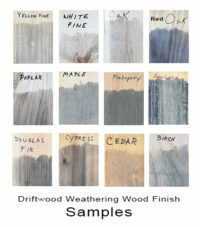 Other woods that have been tested include maple, cedar, cherry, walnut and redwood. NOT recommended for use on particle board, balsa, parawood, bamboo, rubberwood or Malaysian oak. 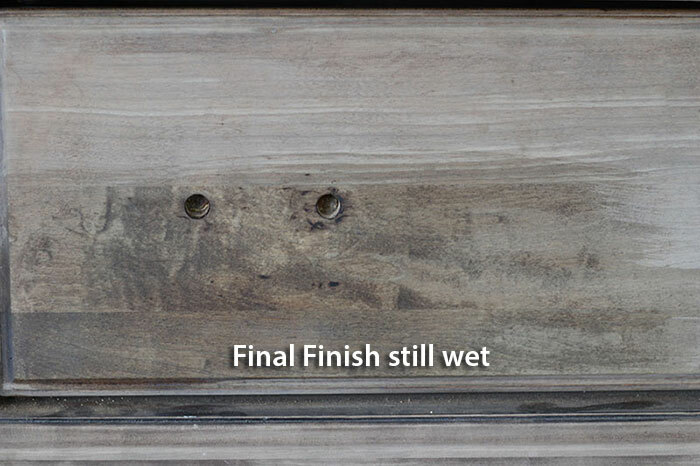 The solution penetrates deep into the wood so the driftwood weathered wood finish will last the lifetime of your indoor or outdoor furniture and will not need to be re-applied. It’s very simple and easy to apply and the results are amazingly quick with no messy cleanup. No more experimenting with faux painting techniques to try to achieve a driftwood finish. 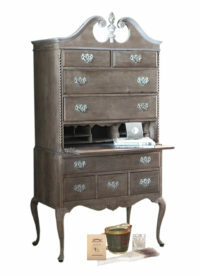 Wood treated with Driftwood Weathering Wood Finish is safe for humans, animals and the environment. Our 16 oz Pint size Driftwood Final Finish Liquid Wax will provide an excellent protective coating while preserving the color of your finish. 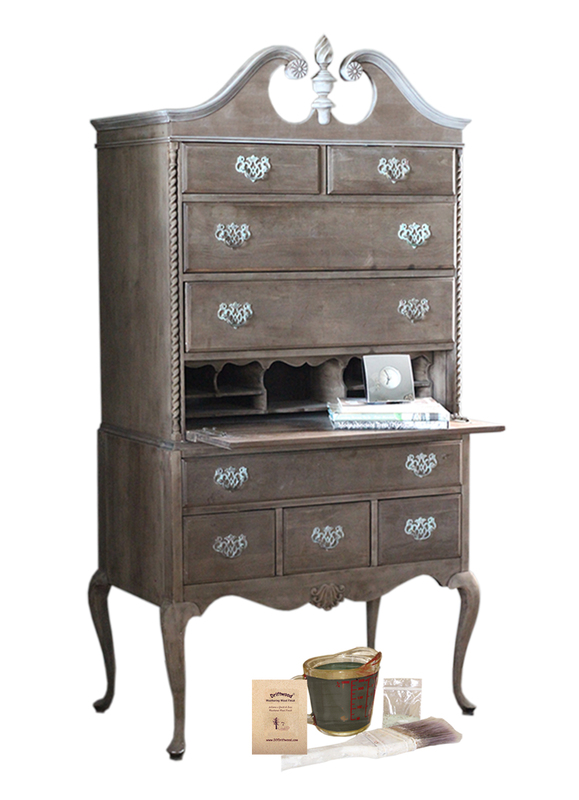 Use over bare, unfinished, stained or painted wood surfaces. 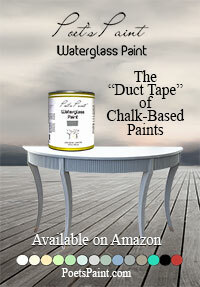 Also works great with chalk painted finishes. For a long lasting and beautiful, water resistant, satin finish, apply one coat, let dry and buff. Two coats are recommended. 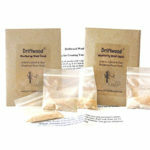 Some woods, which may be especially dry or absorbent, will see increased benefits from additional coats. 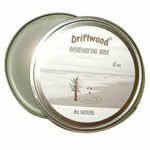 Recommended for use on indoor wood furniture, cabinetry, floors, driftwood and other wood art pieces. 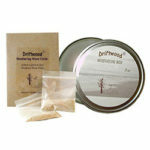 Highly recommended for use with Driftwood Weathering Wood Finish to preserve your driftwood color. 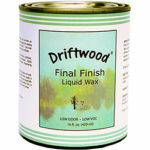 Driftwood Final Finish Liquid Wax will provide a water resistant finish but not a waterproof finish. For tabletops that are used and cleaned often, a waterproof polyurethane is recommended however, be aware that polyurethanes will darken your Driftwood Weathering Wood Finish and usually turn it browner. APPLICATION: Clean surface. 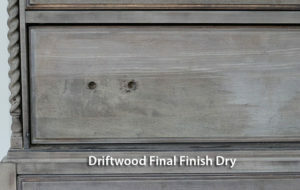 Apply a thin coat of Driftwood Final Finish with a brush or lint free cloth. For application on floors, use of a foam or sponge mop is recommended. 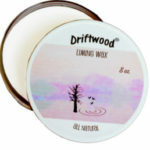 Once dry, Driftwood Final Finish can be buffed with a lint free cloth or buffing machine. A second or third application can be applied an even more protection or if surface is very absorbent. DRY TIME: Approx. 1 hour. Re-Coat time: 2 hours. For best results on floors, let final coat dry for 24 hours before allowing foot traffic. CLEAN UP: Soap and water. COVERAGE: 16 oz. Pint will cover approximately 200 sq. ft. depending upon density, porosity, texture and absorbency. Optimum application temperature 50-90 degrees F.
WARNING: KEEP OUT OF REACH OF CHILDREN. Protect contents from freezing. Product contains no solvents or VOCs.